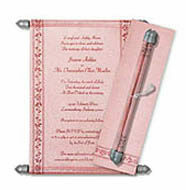 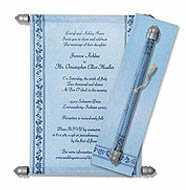 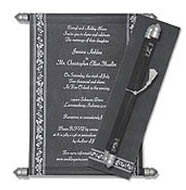 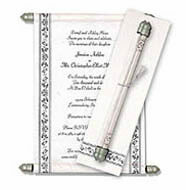 Description: A beautiful looking White scroll made of Pearl Tissue Paper has Black borders on the sides and is framed by Silver colored traditional bars. 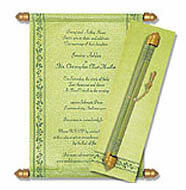 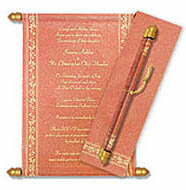 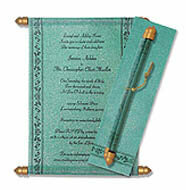 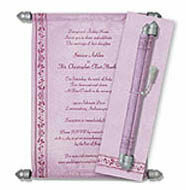 The scroll is rolled and kept with the help of a Silver thread inside a envelope which is made of the same color of Pearl Tissue Paper. 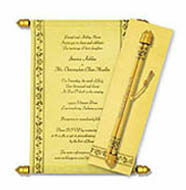 Size: Scroll : 10.5" x 7.5" Box : 3" x 10.5"